The authors direct their book to healthcare providers, families, and patients dealing with invisible chronic illness (ICI) –those conditions that are chronic and disabling but not readily apparent to the casual observer. In Part 1, the authors define ICI, including brief descriptions of 13 diseases that fit their criteria, including lupus, arthritis, fibromyalgia, chronic fatigue, and thyroid illnesses. They then discuss the impact of ICI on the patient, family, friends, and employers. In Part 2, the authors speak directly to the patient, offering coping mechanisms to enhance quality of life through positive thinking, effective communication, and pain management techniques. 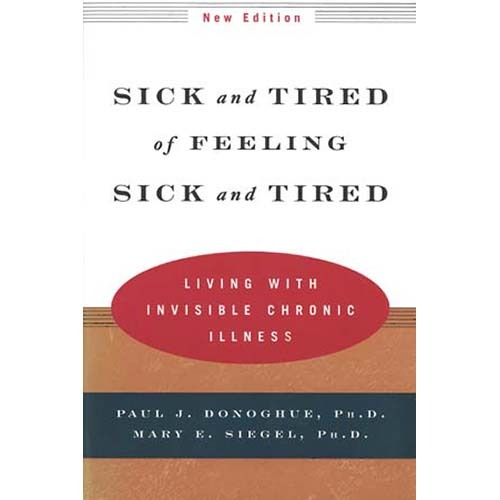 Written by psychologists and chronic illness experts Paul J. Donoghue, Ph.D. and Mary E. Siegel, Ph.D.